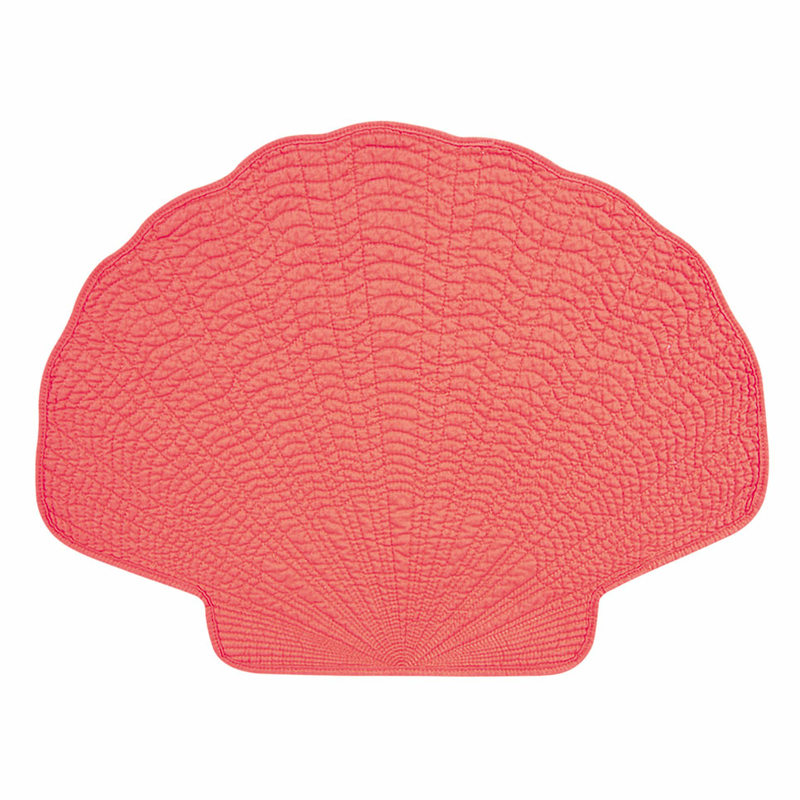 Bring coastal style to your dining table with this Set of 12 Coral Shell Placemats. These quilted placemats have a scallop shell shape with decorative stitching in solid coral. This coastal kitchen decor ships from the manufacturer. Allow 1 to 2 weeks. For more items, we ask you to spend some time to look at our whole variety of coastal kitcen decor at Bella Coastal Decor now.